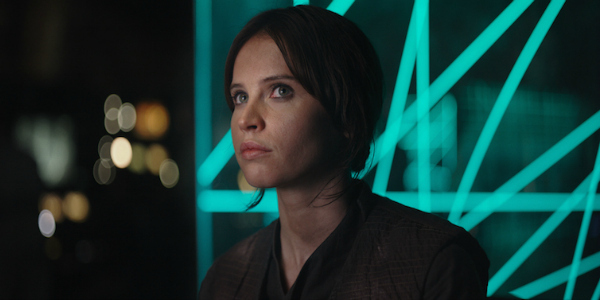 Is This Why Star Wars: Rogue One Is Undergoing Reshoots? The Star Wars saga continues later this year with Rogue One: A Star Wars Story, the first of several planned standalone stories – once thought of as Anthology films – that can continue telling Star Wars stories apart from the trilogy that J.J. Abrams recently launched. But new reports suggest that Disney executives were unhappy with the first cut of Gareth Edwards’ Rogue One, and that reshoots are being ordered for this summer. And now, we may know why. This is the closest thing to a prequel ever. This takes place just before A New Hope and leads up to the 10 minutes before that classic film begins. You have to match the tone! That’s understandable. Whereas J.J. Abrams had to pay service to the Star Wars movies that came before him, the director also was able to bring Star Wars into the next generation, introducing new characters and exploring new worlds. Rogue One: A Star Wars Story introduces a unique challenge for Gareth Edwards. He’s telling a story that takes place during a time (the time of A New Hope) that audience members are intimately familiar with. In a sense, he has to replicate that. But he also needs to make the movie his own. The sources have told THR that Rogue One: A Star Wars Story currently plays like a war movie, and that the reshoots will be an attempt to lighten the mood. The story, from all that we can tell, will follow the Rebel Alliance as they attempt to steal the plans for the Empire’s Death Star. These plans will help Luke Skywalker (Mark Hamill) succeed in blowing up the weapon at the end of A New Hope. It theoretically could be a war movie, and the first trailer showed scenes of combat reminiscent of war pictures. In fact, The Dirty Dozen was a reference point for Rogue One when fans in the know discussed the type of story that we could have been in store for. Reshoots aren’t uncommon, particularly on large-scale franchise movies with huge expectations. Recently, Suicide Squad underwent reshoots, and reports said it also tried to increase the levity (though some associated with the film denied those intentions). Personally, I don’t understand why everything needs to be "dark and gritty" anymore. Audiences seem to be tiring of that approach to stories, no matter the genre. That’s part of the reason why the flippant Deadpool crushes at the box office, but Batman v Superman underperforms. Still, we’ll see what direction Rogue One takes as the movie gets closer. It will be in theaters on December 16.